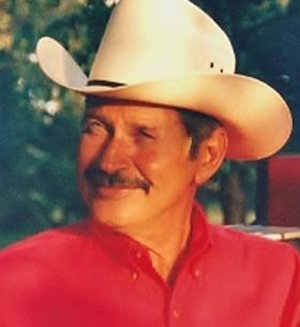 Obituary – Crafton, Vurlon Boyd « Perry High School Alumni Association, Inc.
Graveside services with military honors for Vurlon Boyd Crafton, 68, of Spring, Texas, will be held at 10 a.m. Saturday, Oct. 29, 2011, at Resthaven Memorial Park. Boyd passed from this life Wednesday, Oct. 26, 2011. In lieu of flowers, memorials may be made to the Alzheimer’s Research, 3601 4th Street, MS 8321, Lubbock, TX 79430. Vurlon Boyd was born Feb. 8, 1943, to the late James and Jessie (Wilson) Crafton. 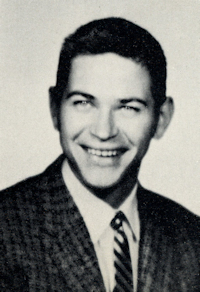 He served in the United States Navy from 1964 to 1967. He married the love of his life, Andrea Fay Crafton, on July 4th, 1992. Boyd owned and operated Boyd’s Auto Sale for 30 years and was the truck/fleet manager for UPS for many years. He enjoyed fishing, cars, traveling, and most of all his family. Those left to cherish his memory are his loving wife, Andrea of Spring, Texas; son, Michael Crafton of Lubbock; daughter, Kimberly Martin and husband Leit of Lubbock; stepdaughter, Deena Stone and husband Jim of Spring; stepson, Weston Edge of Lubbock; sisters, Gail Miester of Abilene and Debbie Dunbar of Spring; brothers, James Crafton Jr. of Oklahoma, William Crafton of Sherman, Texas, and Carl Clifford of Mississippi; and five grandchildren, Braxton, Bryson, Megan, Mackenzie and Kolton.